The vision of the institute is to offer to its students, the Meritor’s, an educational environment that converts them into forerunners of the industry with managerial and technological expertise. Keeping in mind the values of an innovative, progressive educational institute, Merit Swiss Asian School of Hotel Management aims to impart comprehensive, value-based education along with technical expertise. The mission of the institute is to create a confidence in the students that enables them to make progressive decisions by using technological achievement, technical expertise, human values and communication skills. Regular upgrading of campus facilities and teaching methods, use of innovative technology, which is at par technological aspect of facilities available in the USA, Australia and Switzerland, creation of a student-friendly, learning oriented residential study environment with high academic standards to achieve the pre-set goals. 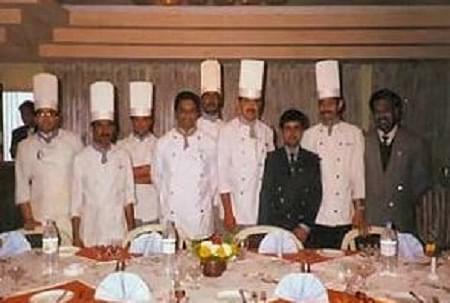 Why to Join Merit Swiss Asian School of Hotel Management, Nilgiris? Memberships: Institute is member of various renowned organizations like FH&RAI, Nilgiris Hotel and Restaurant Association, International Hotel and Restaurant Association, etc. Placements: Institute placement cell has a successful track record of placements. Students are placed in the hospitality industry in various countries like Austria, Europe, Canada and Middle East. Hi Netaji, You will get the information about Hotel Management course from this college Fee Structure please contact on this no. 0423-2443601.